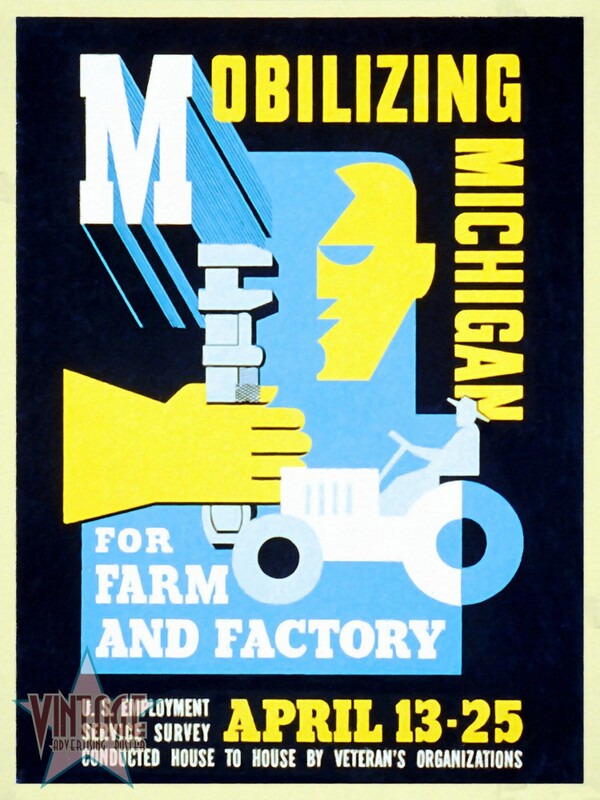 Restored Vintage Poster of U. S. Employment Service Survey advertising Mobilizing Michigan for Farm and Factory. 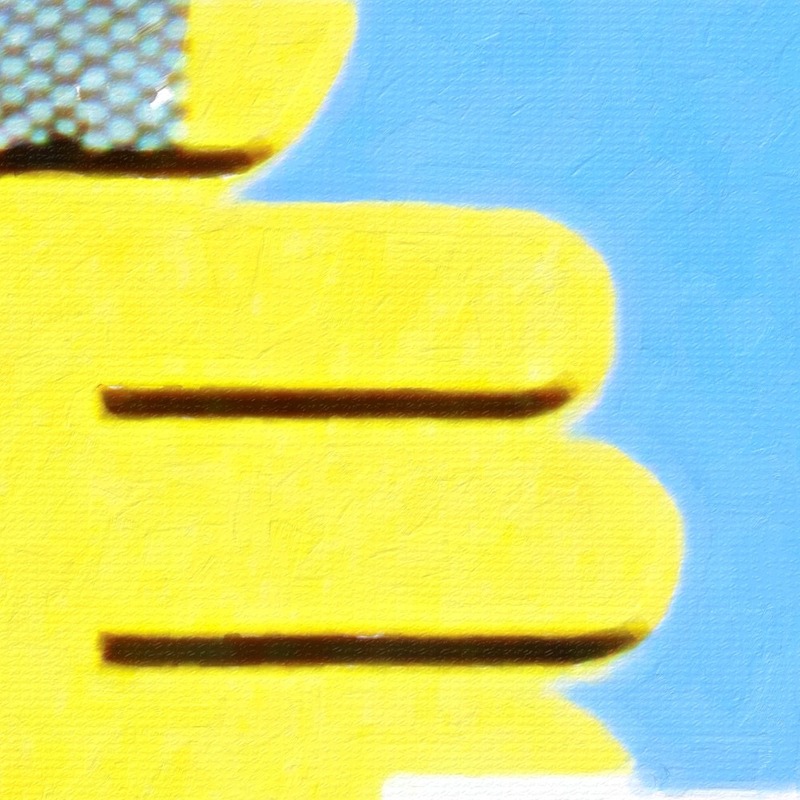 Michigan Art & Craft Project W.P.A. 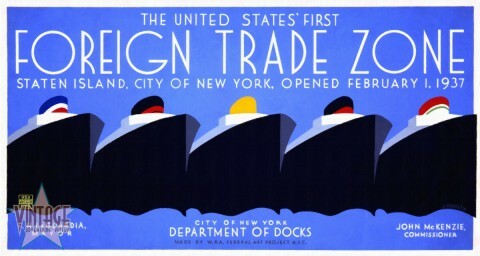 Restored Vintage Poster advertising the Foreign Trade of United States and Staten Island Docks in New York. 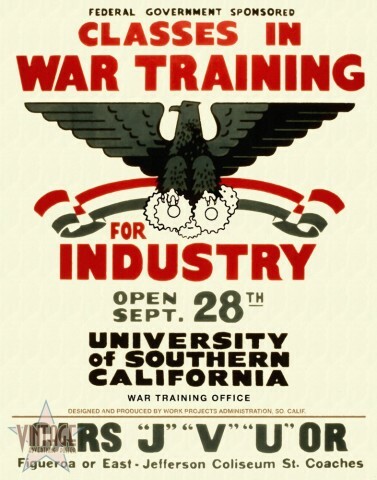 Vintage poster to advertise Classes in War Training for Industry in University of Southern California.